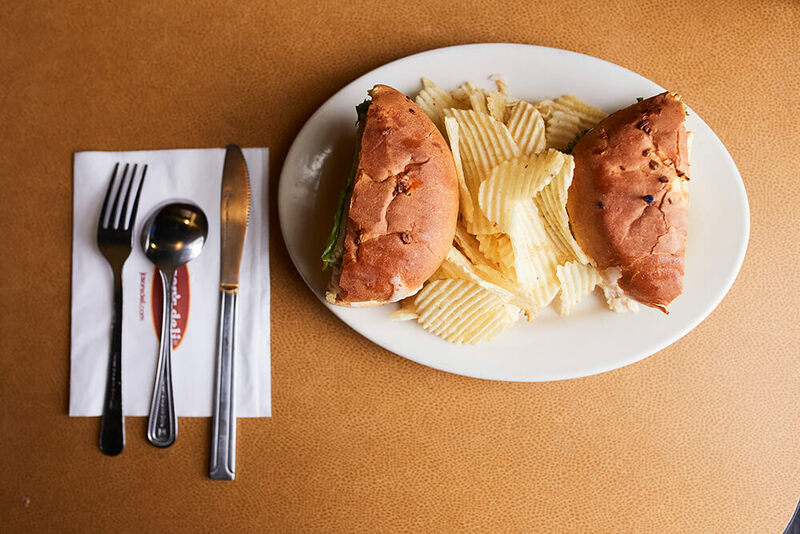 If you think sandwiches when you think Jason’s Deli, well … you’re totally right. They make some of the best and freshest sandwiches you’ll find from Reubens to muffalettas and every delicious and flavorful option in between. But if that’s all you think of, you are missing the full delicious, fresh, convenient, and healthy picture that is Jason’s Deli. 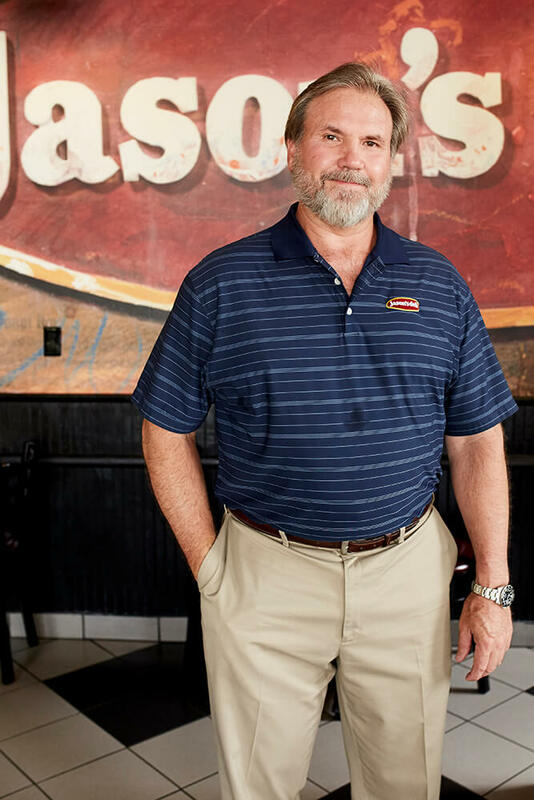 Whether you’re on Cherry Street or southside, whether it’s lunch or supper, whether you’re feeding just yourself, your family, or the office, Jason’s Deli can take care of you. Plenty of places offer salad bars, and most of them are anemic offerings of iceberg lettuce with a few veggies and some dressing. 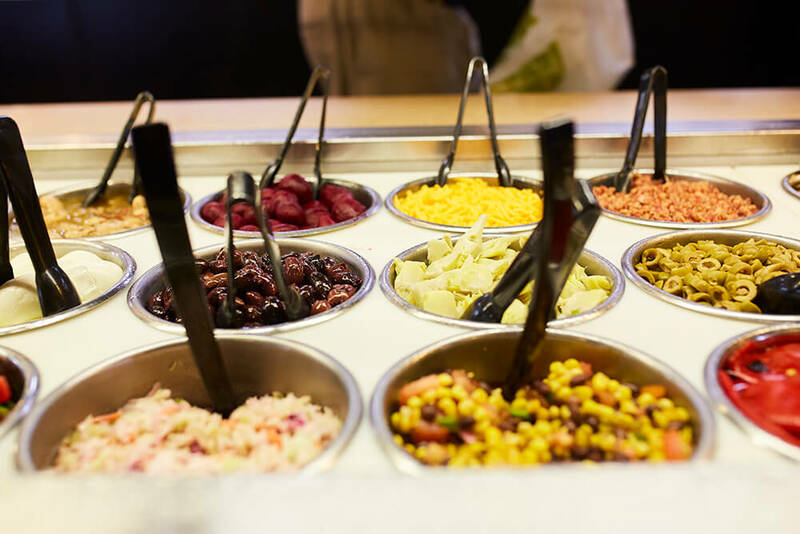 You can make an actual meal with the salad bar at Jason’s Deli. You fill up with protein-rich options like boiled eggs and hummus, turning your salad into a hearty meal. You can round out that meal with ginger-orange mini muffins, cornbread mini muffins, or crackers. For a sweet treat, there’s fruit salad and pudding. If after all that, you’re still set on a sandwich, you are in the right place. Consider the New Orleans original muffaletta with the bread flown in from NOLA. For a vegetarian option, there’s the spinach veggie wrap. For the meat lover, Jason’s Reuben the Great, Beefeater, or The New York Yankee are all loaded with at least a half-pound of meat, topped with cheese and served up hot. Or consider a Club Royale or California club served on a toasted croissant. If you think sandwiches when you think Jason’s Deli, well … you’re totally right. They make some of the best and freshest sandwiches you’ll find from Reubens to muffalettas and every delicious and flavorful option in between. But if that’s all you think of, you are missing the full delicious, fresh, convenient, and healthy picture that is Jason’s Deli. Whether you’re on Cherry Street or southside, whether it’s lunch or supper, whether you’re feeding just yourself, your family, or the office, Jason’s Deli can take care of you. Three years later, he opened the 15th Street location in an historic school building. “They say Paul Harvey went to school here.” The building wears its age with grace, but you do still climb up a flight of stairs to enter, much like young Harvey and his friends did years ago. Once inside, the spacious dining area, filled with natural light, welcomes you. The friendly staff behind the counter is ready to help you, but before you go order a sandwich, check that salad bar. Plenty of places offer salad bars, and most of them are anemic offerings of iceberg lettuce with a few veggies and some dressing. You can make an actual meal with the salad bar at Jason’s Deli. An actual meal with actual protein that will leave you satisfied all afternoon. You can start off with iceberg lettuce or a green mix, and then you have more topping and side options than you can get through in a lunch hour. Every day includes a fresh assortment of veggies. There are cheeses, including not just typical choices like cheddar, but also unusual options like flavorful asiago. There are more topping options than just croutons. You can add flavor and crunch with a Cajun mix, sunflower seeds, or a sweet and nutty cran-walnut mix. You fill up with protein-rich options like boiled eggs and hummus, turning your salad into a hearty meal. You can round out that meal with ginger-orange mini muffins, cornbread mini muffins, or crackers. For a sweet treat, there’s fruit salad and pudding. And, bonus, the calories and nutrition for everything on the salad bar is listed right there where you can see it to make it even easier to make good healthy choices. All that fresh deliciousness is a very wallet-healthy $7.99. For a few dollars more, you can add soup, chicken breast, salmon, and more. Speaking of soup, Jason’s Deli has 11 hot and hearty soup options. There are traditional favorites like broccoli cheese or chicken noodle. For vegetarians, Jason’s offers an organic vegetable or tomato basil. There’s a flavorful chili, or for more flair, try the southwest chicken chili. For comfort food, there’s the chicken potpie soup, or if you want to spice things up, you can try Jason’s spicy seafood gumbo. As the mercury falls along with the leaves, a nice piping bowl of Jason’s Deli soup might be just what you need to cut the chill. If you need to feed a crowd of any size, consider Jason’s catering. They can set you up with the perfect breakfast, lunch, supper, snack, or party foods. 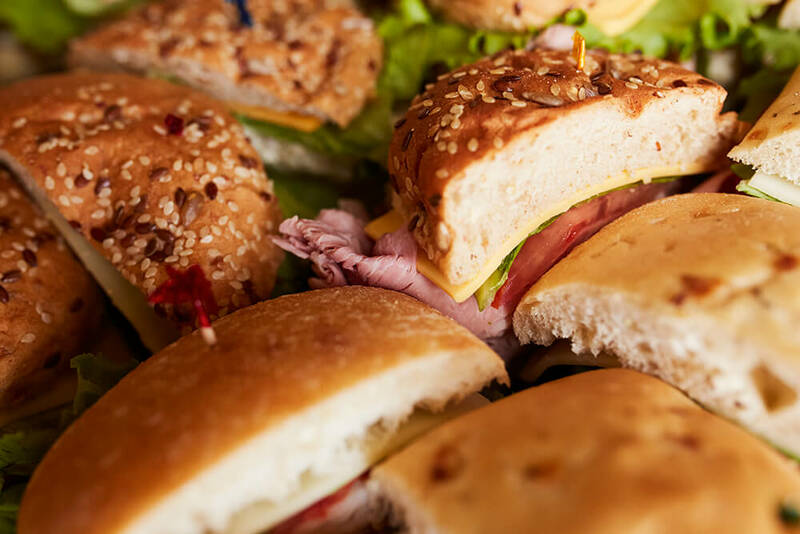 For a breakfast meeting, you can choose a coffeecake tray, a bakery shop tray of assorted pastries, or trays of breakfast sandwiches or wraps complete with breakfast meats, egg, and cheese. 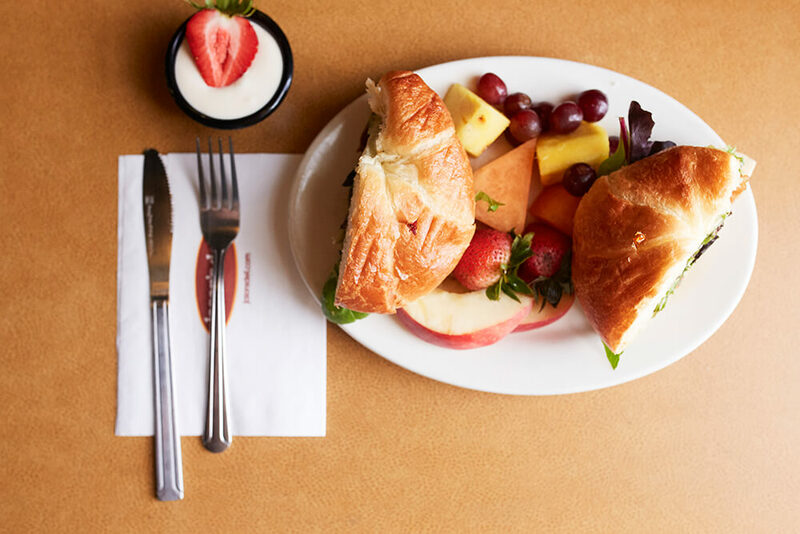 You can round out your breakfast with coffee and fresh fruit. Jason’s also offers breakfast by the box. You can choose a bakery box filled with pastries, coffeecake, and breakfast bars. For something heartier, the sammy box is filled with breakfast flatbreads full of eggs, muenster, and breakfast meats. Or you can order a build-your-own-parfait box, full of creamy vanilla yogurt, fruit, and granola. For an all-day meeting or event, consider the all-day meal deal: two deliveries, one for breakfast, one for lunch. You can even add on an afternoon break with snack mixes and lemonade or tea to keep your crew well fed and happy throughout the day. 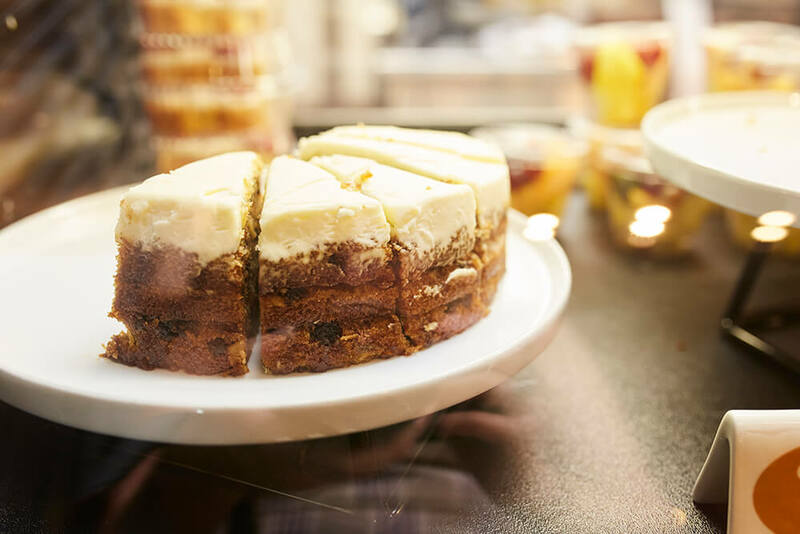 For lunch or supper gatherings, Jason’s Deli has an amazing assortment of boxed lunches, including salads and sandwiches, each with a dessert choice. There are all kinds of package deals, like the V.I.P. 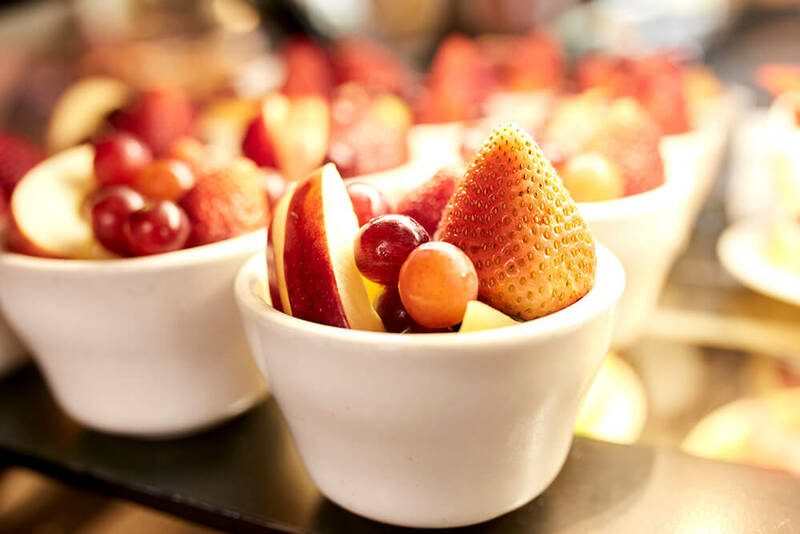 meeting package which includes a deluxe sandwich tray, a fresh fruit tray, salad, a dessert tray, chips, and pickles. Don’t forget to check out the pasta offerings. Jason’s serves up several hot and fresh pasta options, like their creamy chicken Alfredo or chicken pasta primo in a tomato basil sauce topped with asiago. Jason’s has trays full of wraps or sandwiches, boxes full of salad or soup, and even a potato bar option. For snacking, there are fruit trays, veggie trays, and even a fruit and cheese tray. Don’t forget the best part — dessert. Jason’s has a strawberry shortcake, a dessert tray loaded with cookies and brownies, a cookie box, dessert bars, and a whole coffeecake to delight your event. Be sure to consider Jason’s cake bites. The tray of cake bites comes with chocolate, vanilla, and red velvet cake bites coated with frosting and topped with sprinkles. These decadent bite size treats are fudgy and rich and sure to make the hungriest sweet tooth happy. Order extra; you’ll want some for yourself. If after all that, you’re still set on a sandwich, you are in the right place. Consider the New Orleans original muffaletta with the bread flown in from NOLA. For a vegetarian option, there’s the spinach veggie wrap. For the meat lover, Jason’s Reuben the Great, Beefeater, or The New York Yankee are all loaded with at least a half-pound of meat, topped with cheese and served up hot. Or consider a Club Royale or California club served on a toasted croissant.